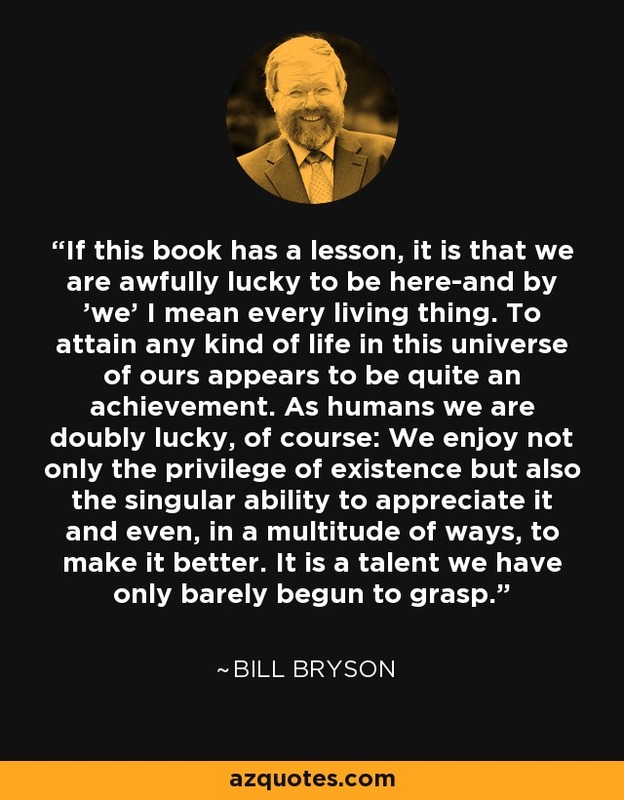 If this book has a lesson, it is that we are awfully lucky to be here-and by 'we' I mean every living thing. To attain any kind of life in this universe of ours appears to be quite an achievement. As humans we are doubly lucky, of course: We enjoy not only the privilege of existence but also the singular ability to appreciate it and even, in a multitude of ways, to make it better. It is a talent we have only barely begun to grasp.